Once he made this car with an awesome electric sequential gearbox. Then he led us in suspense for a few months... A couple of weeks ago, the secret was finally revealed! 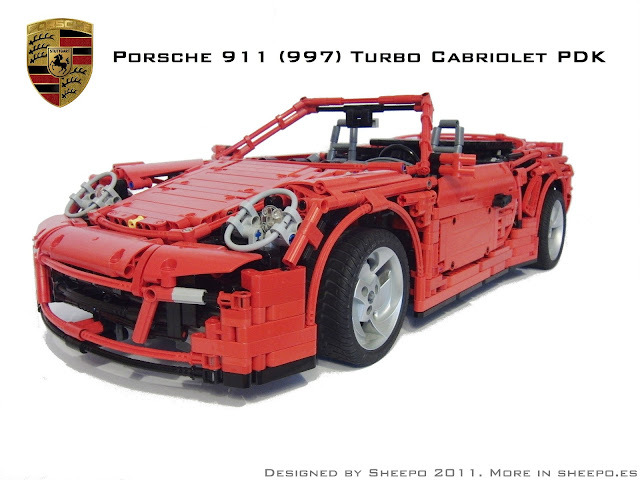 Yes, Sheppo decided for a Porsche 911 (997) Turbo Cabriolet PDK. Circa 3500 parts and 3,65Kg of LEGO. There are so many PF parts and functions (either manual and remote controled), that better you'd see the whole video above or read all the details through Sheppo's explanations at his blog. I hate youtube - the video isn't available in germany. The only thing that I do not like about it are the over use of the hard flex system tubes to make the rounded shapes like the headlamps and seats and parts of the body. Using these parts just seems like an easy way to reach your goal. 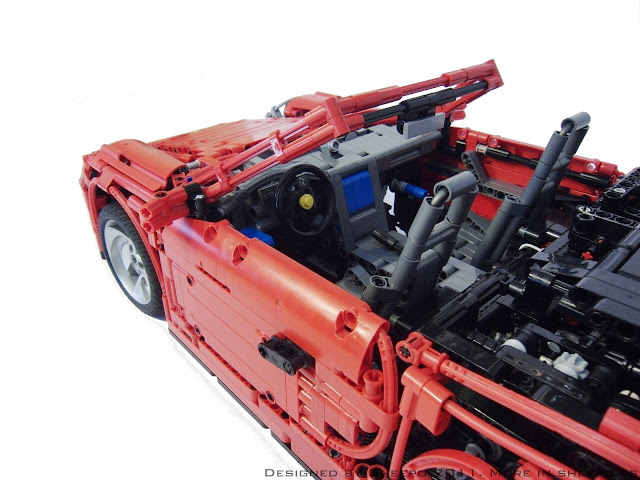 But if you take away that and some other questionable building techniques, from a functional stand point, there probably has never been a technic car(or any model) with more features. First he blows you away with the bugatti vayron, then he beats it with this! I'm am really seriously impressed, i'm blown away! I've gotta wonder tho, does it drive in seventh gear? Does the speed continually increase as you move up the gears? I doubt it only because of the power of the motors, the design however is just amazing, I love it! When can we buy this set in official LEGO shop ?